Many improvements adorn the Envelope Imager 1.5 Plus. This formidable little machine can churn out some serious productivity. 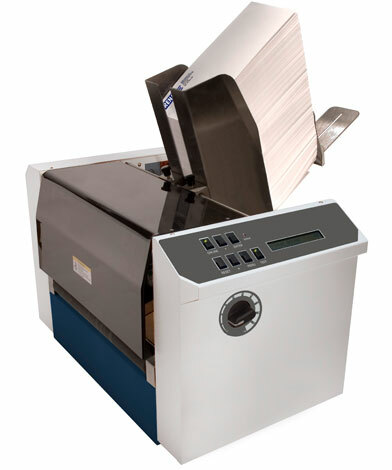 Offering all of the same features as the entry-level 1.5, the Plus has an extended hopper that can hold a whole box of #10 envelopes (500) at a time. It can also take materials up to a class-leading 3/16” thick. The sleek control panel and professional grade color scheme lets you know that this printer means business.